The Gold Edition is a complete edition containing the base game and all DLC. Only available in NA. The Deluxe Edition includes Aveline DLC, The Castaway's Prize and Illustrious Pirates Pack. Freedom Cry is available as both DLC and a standalone game. Also available as a standalone game. Deluxe and Gold Edition exclusive. 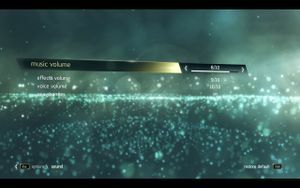 Go into videos (for single player) or multi\videos (for multiplayer). warning_disclaimer.bik is in a subfolder that corresponds with the set language. Uplay cloud synchronization was disabled sometime in 2013. Double buffered. See FPS drops to 30 when Vsync is enabled for triple buffered v-sync. 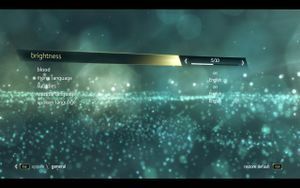 Download AC4 Window Mode Patcher. Copy it to the installation folder and launch it. Type y and press ↵ Enter to start patching. Open WinExplorer and select AC4 from list of running programs. Acceleration is enabled by default. Autodetection up to 5.1 setups. 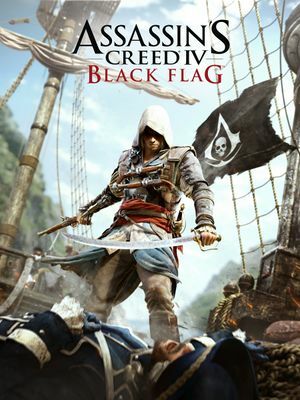 Use Helix Mod: Assassins Creed 4 Black Flag. Might be related to either Logitech or Steam Controller drivers, as the game improperly detects the input device. This issue first manifests upon starting a new file when the game freezes on a black screen with the 'saving' icon. Sometimes the game might appear to be frozen, but you can still hear the sound and the HUD works. 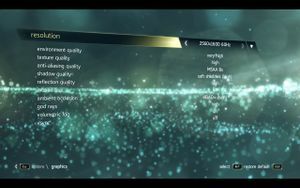 "Volumetric Fog" may cause artifacts on screen edges in-game, Use Driver AA instead if MSAA is being used. This is caused by lack of triple buffering in the game. Don't force VSync in D3DOverrider, only triple buffering. Enable VSync in game options (or force it in Nvidia control panel or Nvidia Inspector). If you're using SweetFX or another injector, this fix will not work. Use the workaround below. Add a profile pointing to AC4BFSP.exe or AC4BFMP.exe. Select the exe profile by clicking on it. Go to the tweaks tab leave vsync to driver default and check triple buffering. Tested on Win8.1 with CFX 7970s. This method has only been tested on Windows 7 SP1 with an Nvidia graphics card and on Windows 10 with an AMD graphics card. Click the cancel button to return to your desktop. Alt+Tab ↹ does NOT work. Press Ctrl+Alt+Del to open Task Manager. 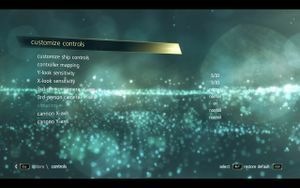 Right click ac4bfsp.exe and select "Set affinity". Uncheck the last CPU core and hit OK.
Go back to the same menu and re-enable it. This will disable PhysX in the game. This can also be achieved by simply disabling PhysX in the in-game menu. Uninstall any existing instance of PhysX from your computer. ↑ 1.0 1.1 File/folder structure within this directory reflects the path(s) listed for Windows and/or Steam game data (use Wine regedit to access Windows registry paths). Games with Steam Cloud support may store data in ~/.steam/steam/userdata/<user-id>/242050/ in addition to or instead of this directory. The app ID (242050) may differ in some cases. Treat backslashes as forward slashes. See the glossary page for details. ↑ Steam Forums: AC4 freezes but the HUD still okay??? This page was last edited on 16 April 2019, at 15:57.